Adidas and Nike, remain the two most popular soccer shoe retailers in the world. In a highly competitive market they constantly complete with new ranges to corner a very lucrative market. 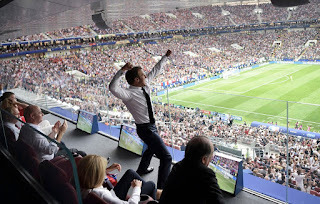 Adidas have made soccer boots and other paraphernalia since 1930s whereas Nike has joined the soccer market more recently but made major gains in sales. 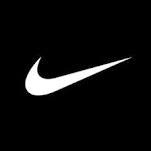 Other popular brands include: Diadora, Puma, Asics Umbro, Kelme, and Lotto. Designs contain the accumulated wisdom of shoe makers combined with sport and material sciences to enable: foot flexibility during accelerated activity, shoe pitch, to give a pivotal action for efficient propulsion when moving forwards; and protection to the foot from surreptitious trauma. Shoe stiffness beneath is matched with contoured uppers with which to control the ball. From time to time boot designs incorporate novelties to attract the novice buyer but these fads usually have a short life. 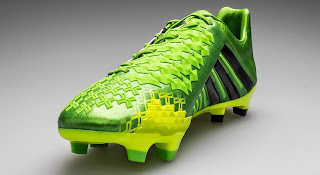 Soccer boots continue to have poor protective capability but manufacturers do try to incorporate innovative designs that are attractive to consumers as well as including design safety features determined by the rules of the game. However the fashion half-life of a sport shoe today is very short and products are as likely to incorporate fads rather than functional components. 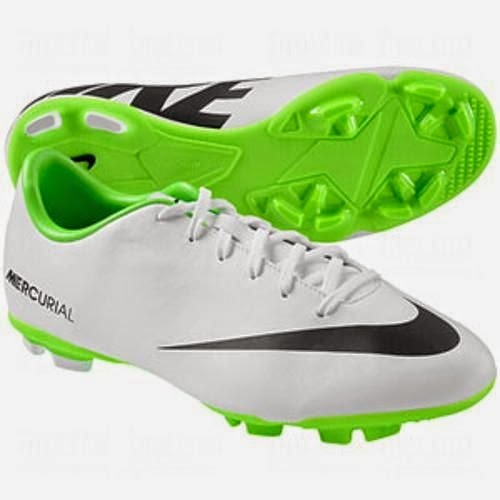 Soccer slippers consist of an upper usually made from plasticized leather or synthetic material. Tradionalists believe leather uppers mold better to the feet produce greater comfort and superior control of the ball. Initially plastic uppers were less comfortable to wear and could cause sweating. New polymer synthetics have adopted the best characteristics of natural leather as well as providing a robust and durable cover for the foot. Most manufacturers now use super lightweight synthetic materials and microfibers. Popularity of synthetics has also twinned acceptance of bolder colourways. Modern players are less likely to choose black boots as perhaps was the case half a century ago. The vast majority of soccer shoes have molded uppers to sole. This gives a water proof bond. Studs are still divided between traditional round studs with between ten to fifteen per sole. 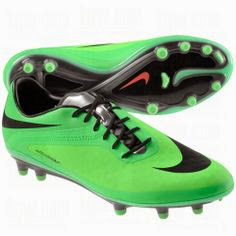 Alternatively blades (or cleats) are made from strong polymers and patterned strategically placed in different angles to offer a player a better footing. The former are recommended for hard and firm surfaces as well as for soft grounds. These are however not recommended for extreme circumstances. Replaceable (screw-ins) studs further allow players the choice of length and type of stud best suited to playing conditions. Cleats are usually designed for specific field conditions. Because these are not replaceable players normally require two or even three pairs of shoes per game. The three most notable innovations in soccer boot design in the last century have had an Australian flavour, a country not always associated with the world’s favourite game. Most manufacturers now incorporate Rubberised Kangaroo Technology (RTK) into their top of the range boots. Kangaroo hide for sports shoes dates back to Victorian Times when quality croquet and cricket boots were made from the antipodean kangaroo hide. These soft yet hardwearing leather uppers are reported as give added grip and ball control. Professional players put a lot in store being able to feel the ball through the upper of the boot and soccer boots that fit snugly are preferred. Other animal hides are available and tend to be used in cheaper boots. Brand leaders now incorporate synthetics uppers as a viable alternative to animal leather. 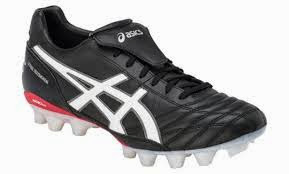 At the end of the last millennium Asics developed an innovative cleat designed to help prevent rotational collateral damage to the knee, reported in Australian Rules Footie players. 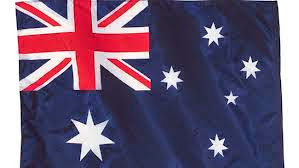 The prototype shoes soon became popular with other football codes including Australian soccer players. The Asics system allowed optimal traction without hindering the player from running freely on hard or artificial surfaces. Similar cleat patterns are now incorporated within contemporary soccer boot design. Australian Craig Johnston (formerly Liverpool FC ) was convinced by changing the surface contour of the soccer boot, greater ball control would follow. He experimented for many years until his prototype Predator was eventually accepted by Adidas, and now the Adidas Predator TM is an evergreen.